Notifications do not work in the legacy Poweramp (v2) with Oreo 8.1. Fixed in v3, or there is a helper app in the forums too. Have to uncheck and check the color inversion option again and again, everytime I use this player for the notification bar to work. See above comment. 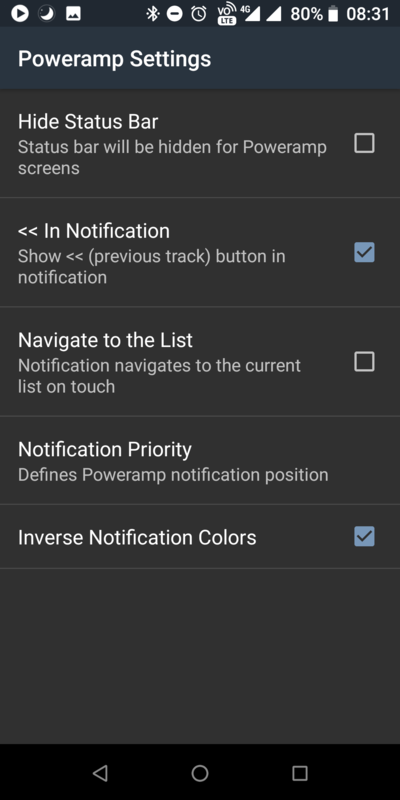 Notifications are not expected to work on Poweramp v2 (e.g. build 588) with Oreo 8.1, and this will most likely never be fixed on v2 which is now considered a legacy product for users of Android Kit Kat and below. Please either use the helper app or install one of the latest v3 builds.